Understanding the requirements of muscle-building workouts and which principles are going to give you optimal results will be important for putting your best foot forward. Creating the best muscle-building workout program for yourself has a number of big benefits, not only in terms of allowing you to add more size to your frame but boosting your overall strength level, reducing your risk of injury, enhancing your metabolic rate, and preventing fat gain from taking place. Understanding the requirements of muscle-building workouts and which principles are going to give you optimal results will be important for putting your best foot forward and seeing results. In order to get the body to generate lean muscle mass, three components must be in place. First, you need to place some form of overloading stimulus on the muscle tissue, causing the need for them to grow stronger. If you never actually challenge the muscle tissue but rather just go through the motions, you aren't going to have much success with your program since there will simply be no need for the body to change. When it comes to deriving that overloading stimulus, this can be accomplished in a few different ways. The first way you can derive the overloading stimulus is to increase the total amount of weight you're lifting in the given session. So if you were doing 6 reps on the bench press at 120 pounds before, a few weeks later you're doing 6 reps at 125 pounds. Since 125 pounds is a higher stimulus on the muscle fibers than 120 pounds, this would represent progress. Keep in mind though that this 125 pounds needs to be difficult. If you could easily do 140 pounds without feeling fatigued, then the 120 and 125 pound weights wouldn't be challenging you in the first place. If You Can Easily Do 140 Pounds Then 120 Pound Weights Wouldn't Be Challenging. The second way to create an overload is to increase the rep range or total set number you perform. This essentially is just creating more volume in the program, causing the muscles to perform a higher amount of work. Those who are looking for muscular size (hypertrophy) will benefit more from this type of overloading stimulus than those who are looking for sheer strength gains due to the fact that strength will be primarily improved by loading more weight onto the bar. 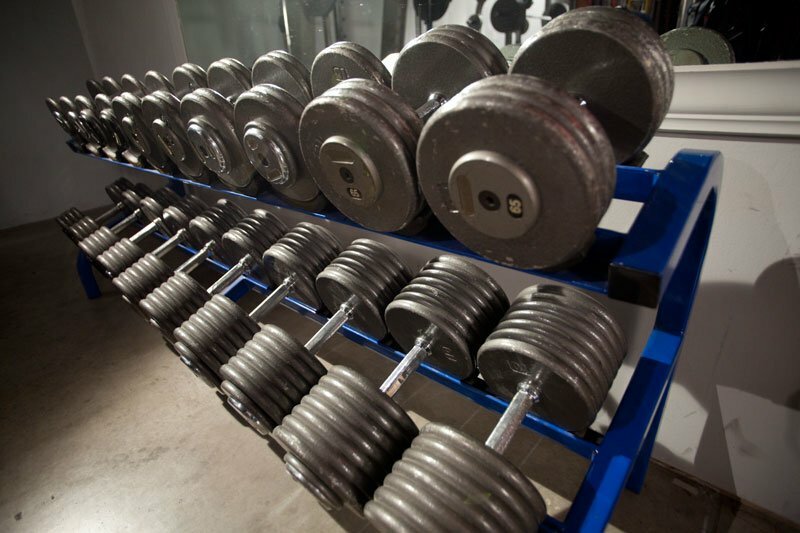 There comes a point too when too high of a rep range won't stimulate muscle growth very well either and this is because at that stage you're going to have to lift such a light weight to accomplish the total reps that it won't promote size increases. Finally, the last way to create an overload is to decrease the rest period between your sets. This will work best for those who again aren't focused on pure strength gains because typically with reduced rest you won't be lifting as heavy as you could. This type of overload is ideal in the in-between stage when you can't quite increase the weight yet but aren't really feeling challenged by the current weight either. By shortening the rest period you'll push your muscles harder than you're used to and still see some progress. After one of these components is in place with your program, then you also have to be making sure you're getting enough rest so the muscles can actually recover from this overloading stimulus (since rest is when they will regenerate themselves so they grow back stronger). Additionally, you must also provide the body with sufficient nutrition and calories to stimulate additional tissue growth. Choosing the best exercises to use during your muscle-building workout will also be important since it will allow you to get the most benefits from your time in the gym. If you're wasting your time on exercises that aren't really going to produce many results at all, this is time spent loading the muscles that is less than optimal. Due to your limited capacity for volume, you want to only perform movements that will give you the best pay-off for your efforts. You are going to see these best pay-offs when doing movements that will stimulate a number of muscle fibers at once since this will create the greatest hormonal response in the body for growth. So whenever you're adding an exercise to your workout program, ask yourself how many muscle groups it's going to work. For example, if you compare the squat with the leg extension, you can see a squat works the glutes, hamstrings, quads, calves, and also the lower back muscles to some degree. With the leg extension however, you're really only going to be working the quadriceps, so you can see how the advantage in this case is largely towards squats. By using more movements that work the entire body you can get results faster from your program and also decrease the total time you need to spend in the gym, meaning more time out to recover where you actually complete the growth process. You Want To Only Perform Movements That Will Give You The Best Pay-Off For Your Efforts. You're also going to have to choose between an upper/lower split and a full body workout program. Both types can prove to be very effective for building muscle so this will come down to preference, time commitments, and your ability to recover. Keep in mind that you should actually have a higher recovery ability if you're doing the full body workout due to the fact that you're going to work each muscle group in the body every other day. With an upper/lower split, you will have two or more days off in between a workout for a given body part, therefore allowing more time to recover despite being in the gym more days a week. Those performing full body workouts typically choose even fewer isolated exercises for the muscles than those who are doing upper/lower splits so they can hit all the major muscle groups in that single given session. Finally the last thing that you'll have to consider is the cardio training aspect of muscle-building workouts. 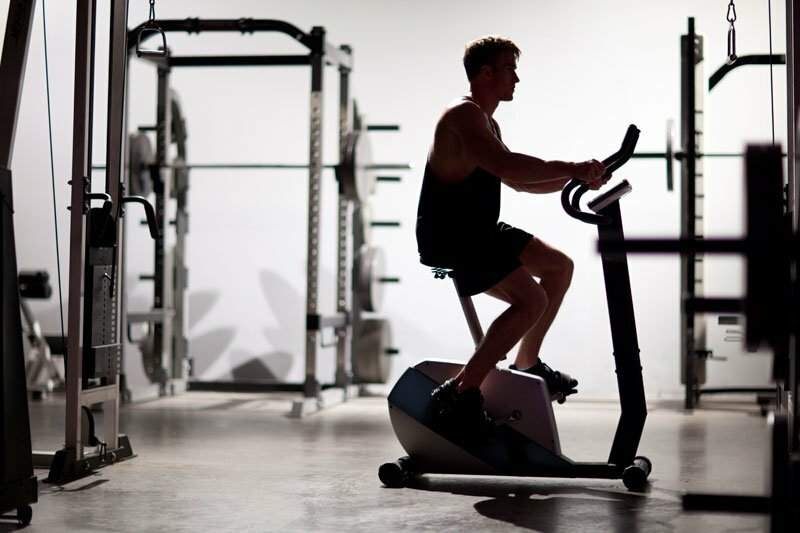 In most cases, you will want to keep cardio much lower than if you were trying to lose fat or just maintain your muscle mass since it's going to reduce your overall recovery from the weight lifting sessions, burn off calories that could have gone towards the process of muscle building, and potentially also work in an opposite manner in terms of hormonal stimulus in the body compared with muscle building. If you keep the cardio workouts you do complete at a lower intensity and minimized to two or three times a week after or at different times than your lifting sessions, then you shouldn't experience the negative influences it can have on muscle building. Just be sure within your week you do have at least one complete day off (preferably two) and aren't seeing a decrease in weight lifting on the bar or that is a signal you're aren't recovering and need to cut back. You Will Want To Keep Cardio Much Lower Than If You Were Trying To Lose Fat. Choosing and then sticking with a good muscle-building program that is right for you will get you on the path to results. Always give any given workout a few weeks to see progress before making changes to the set-up since that's typically how long most people will take to start seeing noticeable progress.